Palliative sedation has been utilized primarily in developed countries with extensive experience with palliative care. 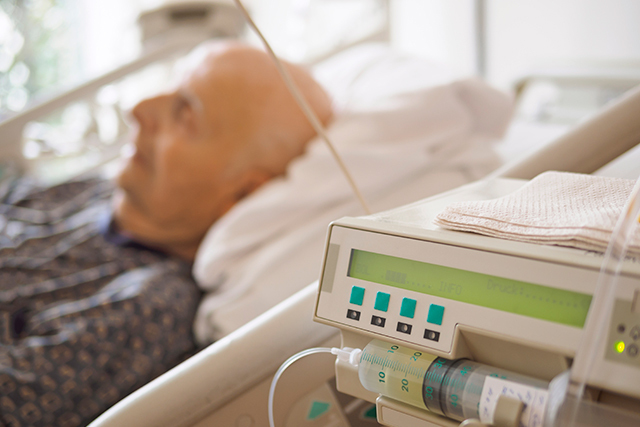 For patients with end-stage cancer suffering from symptoms that have become refractory to standard management, palliative sedation (PS) is a last line, but valid, therapeutic option, according to a study published in Supportive Care in Cancer. PS — an ethical and monitored procedure to induce unconsciousness in patients with extreme suffering — is an accepted intervention but has been utilized primarily in developed countries with extensive experience with palliative care. For this prospective study, researchers included 66 patients with end-stage cancer who required PS in a palliative care center in Columbia, a country in which palliative care is still developing. PS was induced with midazolam, and was considered when patients experienced one or more refractory physical, psychosocial, or spiritual symptoms that caused significant suffering. A total of 2890 patients were attended to by the palliative care team, of which 66 required PS (2.2%); 22% of patients had breast cancer and 82% had metastatic cancer. The primary symptoms that initiated PS were dyspnea (59.1%), delirium (45.5%), pain (31.8%), and existential suffering (13.6%). Approximately 60% of PS patients had more than 1 refractory symptom. Average survival time after PS initiation was 44.9 hours, and researchers found that there was a direct and inverse relationship between time under PS and functionality.